Need a Sydney based content marketing agency? You are already aware of the fact that content marketing is one of the most effective mediums in 2017 to reach your target audience. Powerful content marketing allows you to build the trust, credibility and awareness of your finance organisation. The power and control is now back in the hands of the consumer and they want to be inspired by your message, not sold. In a recent study conducted by Contently, they discovered that 57% of organisations now have two or more people dedicated to content marketing within their teams. When it comes to financial services companies and Fintech in 2017, building the right content marketing team has never been more important. Google, online reviews and mobile phones have ensured the power to choose the best service or product, sits with the consumer. As a result of this power shift, now is the time to allocate time and resources to building a powerful content marketing team, enabling you to have a positive influence on your target market. If you are based in Sydney and looking for a local company to help you scale up your content marketing efforts, then we are well positioned to provide the professional assistance you need. As a content marketing agency based in Sydney, we specialise in creating & promoting authority content in the financial & professional services sector and we cover the full range of distribution channels. One of the benefits of working with ProfileBooster, especially if you are based in Sydney, is that you can meet with us one on one and get to know us first. Alternatively, we’ve created a content-rich YouTube channel highlighting many ways to use content marketing to drive more leads and convert more sales. 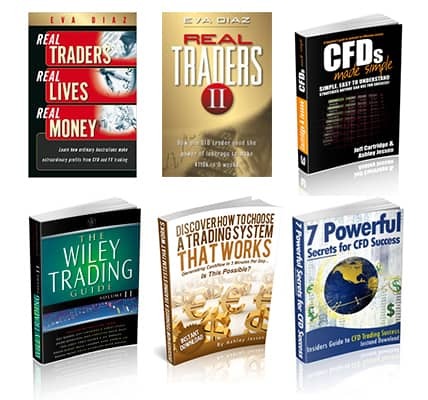 Our team has over a decade of experience in creating and delivering engaging content, having authored several books between us, published under the Wiley brand including CFDs Made Simple, Real Traders, Real Lives & Real Money and Real Traders 2. We have also been published across a number of leading financial publications including the AFR, Smart Investor, BRW, YTE Magazine and Morningstar to name a few. In addition to being published authors, we have worked with some of the largest Forex, CFDs, Fintech, trading and education companies in Australia and the World. As you can appreciate, the CFD & Forex business is heavily regulated and so all content produced has had to be reviewed and given the ok from the respective compliance departments. No organisation in the finance arena in Sydney can afford to jeopardise their financial services licence. As a result, we are meticulous with the quality of the content we produce and write it in a compliant friendly format. We cover a range of content types including press releases, copywriting, social media, newsletters, SEO content and video creation. We have experience with marketing automation platforms such as Eloqua, and are able to help you build out entire promotional campaigns. Our proven 5 step business model gets to the heart of what you and your team are looking to create and we help to overcome the biggest challenges for you and the people you serve. Our goal is to help build your brand, boost your authority, retain more of your existing clients, generate leads and maximise your conversions. If you are ready to dominate your market and become the leading authority in your field, then give the team at profile booster a call today and we’ll arrange an exploratory consultation via the phone or in-person. We’ll share every bit of our experience with you and your team.